Before you begin your Spiritual Gifts evaluation, you’ll need to understand what Spiritual Gifts are, and are not. These passages from scripture will help you see how wonderful our Heavenly Father is, that He would give all His children such special Gifts! This evaluation will take approximately twenty minutes. How much do you agree with each statement? Be totally honest as you are right now, not as you want to be. God can use you right now for His Kingdom, so start where you are right now in your life – warts and all! Hold on to the person you want to be – that person will emerge as you seek God with all your heart and trust His leadership. You may see other Gifts unwrap as you grow in your faith. Put your answer beside each statement. And don’t be shy – if you know you fit the statement – say it with confidence in the realization that it’s not anything you’ve done, but what God has done through you. Give Him all the glory! Score as 0 = Not at all. 1 = Sometimes. 2 = Often. 3 = Usually. 4 = Almost always. __ Q1. I effectively organize people and projects to reach goals in ministry and work. __ Q2. I have specific plans for reaching defined goals. __ Q3. I easily delegate tasks in order to make things run more smoothly. __ Q4. I seek out opportunities to make decisions. __ Q5. I understand what must be done to accomplish a goal. __ Q6. I feel driven to start new projects for God. __ Q7. I enjoy new challenges and taking risks. __ Q8. I enjoy making a difference in other people’s lives. __ Q9. I would like to work as Christ’s ambassador on earth. __ Q10. I am willing to work hard to see churches reach their full potential. __ Q11. I can usually tell right away what a person’s character and abilities are. __ Q12. I usually know if something is from God, Satan or Man. __ Q13. I recognize inconsistencies in people. __ Q14. I realize people’s true motives for doing something. __ Q15. I perceive when something is twisted in communication. __ Q16. I am driven to impact other people’s lives for Christ. __ Q17. I rejoice with people who have put their trust in the Lord in difficult times. __ Q18. I seek out opportunities to help people reach their full potential for Christ. __ Q19. I like to be able to inspire people and encourage them. __ Q20. I rejoice at other people’s success. __ Q21. I seek out opportunities to bridge the gap between myself and people not of my faith. __ Q22. I sense when a person is open to the message of salvation. __ Q23. I have helped many people come to faith in Christ. __ Q24. I believe love, not logic, wins people to Christ. __ Q25. I’m deeply burdened for those who don’t know Christ. __ Q26. I welcome taking risks for God. __ Q27. I get excited by overcoming obstacles through faith. __ Q29. I have a passionate prayer life. __ Q30. I have a great sense that God is in control of all things. __ Q31. I eagerly give more than the ten percent tithe in my offering. __ Q32. I usually give anonymously when I can. __ Q33. I look for ways I can increase my income in order to give more to the church. __ Q34. I see my resources as belonging to God so I give beyond what is asked of me. __ Q35. I know everything belongs to God and I am a steward of His bounty. __ Q36. I firmly believe that people can be healed supernaturally. __ Q37. I pray specifically to be used by God to heal people. __ Q38. I believe healing occurs only by God’s will. __ Q39. I view medical science as a means God sometimes uses to heal people. __ Q40. I give God all the glory when He uses me to bring healing to someone. __ Q41. I like to serve behind the scenes. __ Q42. I rejoice in the success of others. __ Q43. I like attention to detail. __ Q44. I seek out ways to assist others in their tasks. __ Q45. I don’t need recognition for the work I do. __ Q46. I’m known for making people feel welcome and comfortable. __ Q47. I seek out people who are alone in a crowd. __ Q48. I have a strong desire to make people feel loved and accepted. __ Q49. I see my home as belonging to God and I welcome visitors in His name. __ Q50. I try to promote fellowship in believers when I can. __ Q51. I have a clear understanding of what the speaker is saying, even if the language is unknown to me. __ Q52. I can translate messages in a way that edifies and exhorts believers. __ Q53. I am able to convey the meaning of words spoken by other believers to glorify God. __ Q54. I am able to interpret messages given by someone speaking in a language unknown to the audience. __ Q55. I am eager to interpret when someone starts speaking in an unknown language. __ Q56. I devote much of my time to reading scripture. __ Q57. I love to share biblical insights. __ Q58. I love to help others understand God’s Word. __ Q59. I feel strong benefits from studying the Bible. __ Q60. I delight in answering difficult questions about scripture to glorify God. __ Q61. I motivate others to work towards accomplishing visions for the future of the church. __ Q62. I am naturally drawn into leadership roles. __ Q63. I find it easy to inspire people to work together for the benefit of God’s kingdom. __ Q64. I easily see the vision for the church. __ Q65. I am happy to release responsibility to others who are qualified. __ Q66. I am drawn to meeting the practical needs of others. __ Q67. I devote much prayer time for the sake of others. __ Q68. I grieve with those who grieve. __ Q69. I generally place the needs of others above my own needs. __ Q70. I feel fulfilled when I visit the sick, homeless, orphans or those in nursing homes. __ Q71. I recognize prayer as a supernatural way God acts in the lives of people. __ Q72. I give credit to God alone for supernatural works. __ Q73. I fully understand it is by God’s will only that miracles happen. __ Q74. I believe I am an instrument for God’s work on Earth. __ Q75. When I encounter an impossible situation, I pray and look to God for His will. __ Q76. I feel driven to help others reach their full potential in Christ. __ Q77. I look for opportunities to serve others. __ Q78. I enjoy developing a trusting relationship with a small group of people. __ Q79. I am happy to give my time to help people with their spiritual needs. __ Q80. I believe people take precedence over projects. __ Q81. I am known for communicating God’s Word. __ Q82. I enjoy sharing my strong biblical convictions with others. __ Q83. I view myself as an instrument to be used by the Holy Spirit to change lives. __ Q84. I find it easy to confront others’ motives if they don’t live up to biblical standards. __ Q85. I frequently receive and share messages from God which comfort and challenge His people. __ Q86. I spend many hours studying scripture in order to apply the truth. __ Q87. I enjoy explaining God’s Word to others. __ Q88. I seek out opportunities to speak biblical truth and principles into situations. __ Q89. I enjoy helping people learn to study scripture. __ Q90. I believe God’s Word can be effectively taught by several means. __ Q91. I believe God prompts me to convey His messages through a language I don’t know. __ Q92. I often pray for others in utterances using an unknown language. __ Q93. I desire opportunities to pray for the church in an unknown language which I believe glorifies God. __ Q94. I share words and messages given to me by God, using an unknown language. __ Q95. I often comfort or encourage others using an unknown language inspired by God. __ Q96. I enjoy speaking biblical insights into life situations. __ Q97. I am often sought out by others for advice or wisdom. __ Q98. I take great pleasure in counselling others. __ Q99. I am known for making correct decisions and judgements. __ Q100. I recognize God as the primary source of all wisdom. Now record your highest marks and discover which Gifts God may have blessed you with. Record your highest three scores. Your supportive scores are listed as your fourth, fifth and sixth. If you score the same on more than one Gift, write them on the same line then go to the next score. Administration is the Gift which serves and strengthens the body of Christ by effectively organizing resources and people in order to efficiently reach ministry goals. Apostleship is the Gift which God uses to launch and lead new ministries to expand His kingdom. Discernment recognizes truth or error within a message, person or event. Encouragement helps others to live a godly life through inspiration, counselling, and empowerment. Evangelism is the Gift that enables believers who are blessed to share the love of Christ in a way which draws people to accept the gift of salvation. Faith helps those who have this Gift to see God’s purposes accomplished; trusting God to overcome all obstacles. Giving encourages people to joyfully offer more than the usual tithe to further God’s kingdom. Healing restores health beyond traditional and natural means, to those who are sick and suffering. Helping offers assistance to others in reaching their goals that glorify God, without thought for the helper’s own gratification. Hospitality provides others with a welcoming environment for fellowship and comfort. Interpretation is the Gift which understands a message from God spoken in a language unknown to them or others in attendance. Knowledge is the ability to communicate God’s truth to others for the purpose of promoting justice, honesty, and understanding. Leadership is given to believers to relay visions of God’s will for spiritual growth and achieving specific goals. Mercy is the ability to minister to those who suffer physically, emotionally, spiritually, or relationally. Their acts are characterized by their love, compassion, and kindness. Miracles are supernatural acts that bring validity to God and His power. Pastoring is having responsibility for a group of believers to equip them in Christ-centered living. Prophecy offers messages from God that comfort, encourage, warn, and reveal truths that lead to repentance and spiritual growth. Teaching is imparting sound doctrine in relevant ways, empowering people to grow in their faith. Tongues communicate God’s message in a special language unknown to the speaker. Wisdom is making wise decisions and counselling others with sound advice in accordance with God’s will. 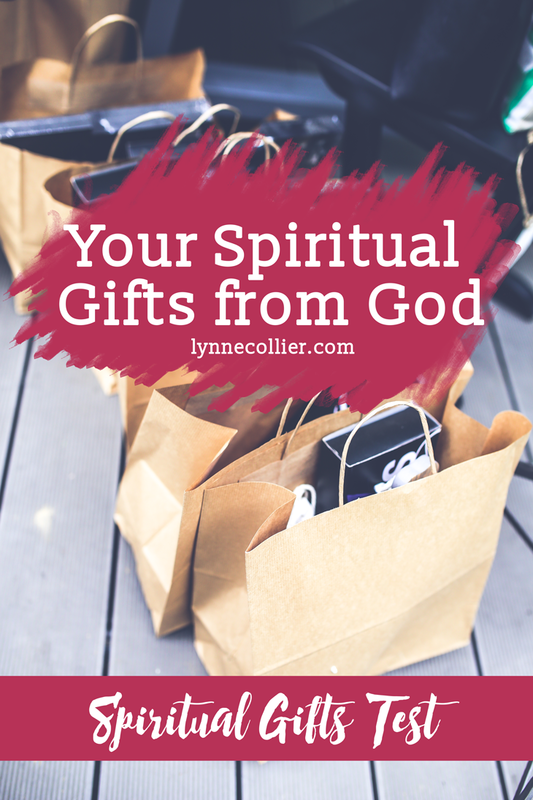 Now you have an idea of the Spiritual Gifts God may have given you. Pray for His will and guidance to use your Gifts for His glory, and to serve others as you minister to them in the love that flows from Christ.